Manufactured homes are a terrific alternative for retirees looking to relocate to the Jacksonville, Florida, area. At Bear Creek, our manufactured homes aren’t the flimsy, unattractive homes you may otherwise envision. These are beautiful residences, many of which have been upgraded. 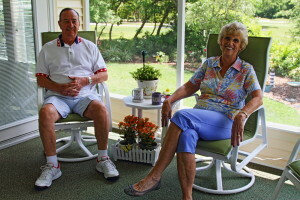 Best of all, they’re affordable, and located within a resort-style community that caters to active retirees. Bear Creek isn’t just a place to live … it’s a lifestyle. We also have lots of planned activities each week, including continental breakfasts, movie nights, dances, Bingo, and pot-luck dinners. Many of our manufactured homes have been recently remodeled and feature a number of upgrades, including vinyl siding and windows, ensuring you won’t have to spend your time on household upkeep. Plus, many of our homes have all-wood cabinetry, updated appliances, modern countertops, new flooring, and more. These homes allow you to ease into your Florida retirement life in style. But that’s not all. Just outside our security gates, our residents find themselves within easy driving distance of Jacksonville, Daytona, and other destinations along the Atlantic coast. Whether you’re looking for white-sand beaches, exciting entertainment venues, world-class theme parks, or virtually any other recreational opportunity, you’ll find it within a stone’s throw of Bear Creek. To learn more about our manufactured homes, or to schedule a visit to our community near Jacksonville, FL, contact one of our friendly Lifestyle Consultants at Bear Creek today.